Using positive thinking to achieve what you want in life is a concept that has been around for a long time. Recently several authors have explored this idea in books and videos. 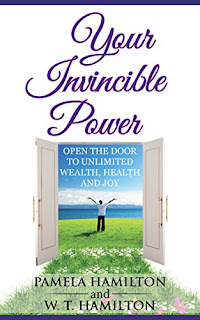 The book Your Invincible Power looks at ways that everyone can stop negativity and use positive thoughts to increase not only personal well-being and prosperity, but to collectively uplift all people through our interconnected higher energy. The authors do a good job of explaining how the Universe (or God or the Universal Mind, etc.) connects all energy and how the Law of Attraction governs all of us. There is also an explanation of the difference between the conscious mind and the more powerful subconscious mind and what we can do to allow the subconscious mind to work behind the scenes. The most important thing is to silence negative thoughts by positive affirmations. Having a positive outlook will bring positive results into your life. This sounds easier said than done, so I like that the book included exercises that can be used to help overcome negative thoughts and channel positive energy into your life and the universe. The end of the book includes a chapter on how to put the ideas in the book into action, including step-by-step daily routines. There is also a list of positive affirmations that can be used to combat negative thoughts. People are also cautioned to use the power of attraction for good, because you get back what you give out. Hoping to use the Law of Attraction to bring bad luck to another person will only bring down bad luck upon yourself. Of course, part of attracting good things into your life also involves being active in identifying and overcoming barriers that might be holding you back. One way this can be achieved is to stop focusing on the things you don't have and instead become mindfully grateful for what you do have. Another one is to plan and visualize, rather than make excuses and give up. While the message of the book is very positive and encouraging, the text could have used some editing. There were many grammatical and punctuation errors (subject/verb disagreements, run on sentences and a positive explosion of commas where no commas were necessary). Often I had to read a sentence numerous times to figure out what the authors were trying to say. Another issue I had with the book was inclusion of some rather startling facts that were just thrown out without any sort of references as to where this information was obtained. Some doozies: eighty-five percent of the Earths entire population live in negativity (was that the conclusion of a Gallup poll? ), our conscious mind sets in motion impulses traveling at 120 to 140 mph (who in the world used the stopwatch that measured that?) and my personal favorite, your subconscious mind can typically process 4,000,000,000 bits of information per second (again, this was measured . . . how exactly?). Not to say that the authors aren't quoting information they discovered somewhere, but some context would have been helpful. 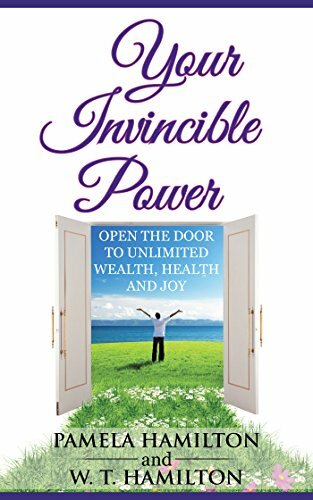 Overall, I think there are many positive messages in the book as to how people can take charge of their lives and have a happier, more prosperous outlook. While there is more to achieving this than just positive thinking, the authors give many examples and exercises to help everyone attract more good things into their lives. I received a copy of this book in exchange for this review.